By accessing or using our website and the products and services available through this site, you agree to be bound by these Terms and Conditions. The provision by Diaspora Funeral Cash Plan, its affiliates and suppliers of the data, information and services on our site to you is expressly conditioned on your acceptance without modification of the terms, conditions and notices contained herein. Your use of our website constitutes your agreement to all such terms, conditions and notices. 'Our', 'Us' and 'We' refers to Diaspora Funeral Cash Plan. The words 'you' and 'your' refer to users of this public Website. The information in this site is a summary only. Source material should be consulted in all cases affecting legal rights or responsibilities. Changes in circumstances may occur at any time and may impact on the accuracy or completeness of the information. Diaspora Funeral Cash Plan has taken reasonable care in producing this information. 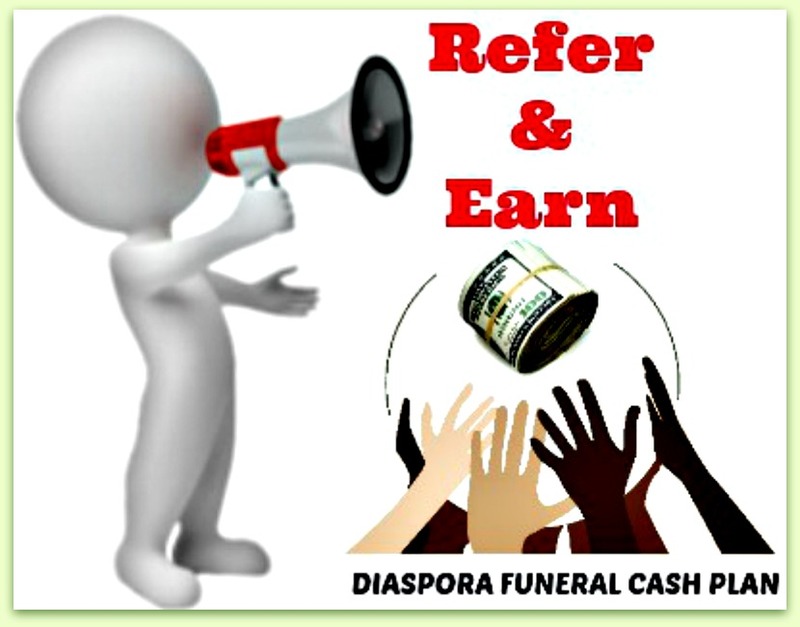 However, to the extent permitted by law, Diaspora Funeral Cash Plan does not warrant the accuracy, adequacy or completeness of the information and excludes liability for any decision taken on the basis of information shown in or omitted from this Website. The material on this site is published by us and is intended for use our website users worldwide. If you access this Website you do so at your own risk and you are responsible for compliance with the laws in your respective jurisdiction. The information, materials and services contained on this site are provided to you 'as is', and 'as available'. To the maximum extent permitted by law, unless otherwise specified, we disclaim all representations and warranties of any kind, whether express, implied or statutory. In addition, we do not warrant, guarantee or make any representations regarding the security of accounts, or that this site is free from destructive materials, including but not limited to computer viruses, hackers, or other technical sabotage. We also do not warrant, guarantee or make any representations that access to this site will be fully accessible at all times, uninterrupted, or error-free. Use of this site is limited to obtaining insurance quotes, obtaining, other information relating to the price of insurance cover and conducting insurance related transactions or queries, in respect of insurance cover for you or a member of your immediate family, with their prior consent. You agree not to otherwise use this Website to obtain insurance quotes, or to obtain other information relating to the price of insurance cover from us or conduct insurance-related transactions or queries. You also agree to indemnify us in respect of any liability incurred by us for any loss, cost damage or expense, howsoever caused, suffered by us as a result of your breach of this obligation. All trade names, brand names, trade symbols, logos, slogans, trademarks or services marks are trademarks or proprietary interests of Diaspora Funeral Cash Plan. There are other trade names, brand names, trade symbols, logos, slogans, trademarks, service marks, brand names, company names, logos, slogans, trademarks or service marks indicated on the Web site that are the property of their respective owners.